X Factor finalist Marcus Collins has withdrawn from the tour of Hairspray due to ongoing health problems. 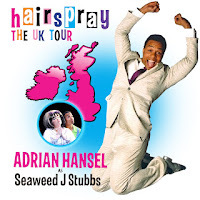 His role of Seaweed J Stubbs has been excellently covered by understudy Fela Lufadeju, but tonight Adrian Hansel returns to the role which he played in the original London cast from October 2007 until it closed at the Shaftesbury Theatre in March 2010. 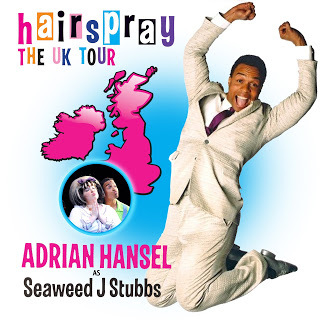 He will play Seaweed Stubbs for the remainder of the tour. His previous credits include 'Hud' in Hair (Pleasance Theatre, London), 'Tyrone Jackson' in Fame (Edinburgh Playhouse and Aldwych Theatre, London) and 'Rusty' in Starlight Express (Apollo Victoria Theatre, London). He has also appeared as a soloist on a number of Michael Ball tours.